This year students across England, Wales and Northern Ireland had to rise to the challenge of taking on new GCSE exams. This meant a lot of uncertainty for teachers and students alike and both had to work hard to prepare for an exam system that still remained relatively unknown. However, in Bristol, schools did particularly well and pupils scored above the national average. City Academy showed one of the highest exam improvement rates in the city, with 53 percent of its students achieving 9-4 in English and Maths – an incredible 10 percent increase on last year. This year, 180 year 7s have joined City Academy – the largest group that the school has had for many years. As with most other secondary schools, the first day sees the year group go in on their own to settle in and to help those who might be nervous. Jon begins with an assembly to welcome them, before the students meet their tutor groups – known as ‘learning families’ at City Academy. They then get their planners, timetable and uniform and from 11:20 onwards it’s straight into lessons in order to get them used to the routine. “The new year 7s will have some fantastic opportunities to help them decide what they want to do with their lives,” said Jon. He pointed to one former student that had worked with education charity, Integrate, and helped to get national policy over female genital mutilation changed. However, the recent success at City Academy has been hard fought for. In January 2015 the school was managed by a different Multi-Academy Trust (MAT) and had been put into special measures by Ofsted. The trust in charge of the school had decided that it would move out of education and called upon fellow trust Cabot Learning Federation (CLF) for assistance. 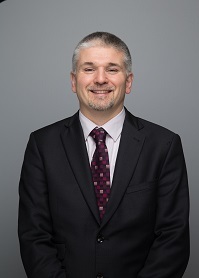 CLF provided a range of support measures, one of which was to second Jon – who was Principal at John Cabot Academy at the time – to provide assistance to City Academy’s two interim heads. Jon was appointed as Principal in March 2016 and in June 2016, City Academy became part of CLF. He explained that one of the benefits of working in a MAT with primary and secondary schools was the ability to look at a child’s entire school journey to understand what they have learned and what they need to learn in order to succeed at later stages. Furthermore, CLF principals are given a lot of autonomy over their schools and this gives them the chance to try out new ideas and share the experience of what works and what doesn’t. The trust’s schools do share similarities where good practice has been developed or where standardisation supports learning. So for example, a number of years ago all of the trust’s schools moved to the same exam board, making it easier to manage and for teachers from different schools to work together. Jon explained that one of the biggest challenges of the new exam system is knowing where the grade boundaries are. “We had very little material to prep the kids with – that was challenging,” explained Jon. The new questions are more challenging than ever and include a lot of content that would have previously been in the A-level exams. Coursework has now been almost entirely removed – this has been welcomed by teachers as it gives them more time to focus on teaching knowledge and skills. “If you are a child that doesn’t engage in that sort of work and wants to do more skills-based stuff then it’s very difficult to find qualifications that are sensible for a school to deliver that are going to engage students,” said Jon. In order to help pupils achieve their ambitions, the school gives them opportunities to engage with activities in the community. The school is involved in the Bristol Works initiative, which helps find work experience places for pupils. It also takes part in UWE’s Future Quest programme, which aims to make university an option for those students that show potential to attend in areas where higher education participation is lower than expected. The school will also be running learning activities in tutor groups and will be extending the school day by one hour for year 11. City Academy also has a strong focus on reading and literacy, as poorer inner-city areas tend to have lower literacy levels among pupils. The school is running a new programme called Accelerated Reader in which each of the books in the library has been assigned a level. Pupils do a test and are assigned a level that is achievable, but still a challenge. They choose a book, read it and then do a test on the computer to prove that they have read it correctly. Pupils score points for reading books and when they score enough points they go up a level. “It also counts the number of words so you can get competitive about it,” said Jon. He explained that literacy helps pupils in all aspects of their education, giving them the confidence to read what is being written on the board, what is on their worksheet and ultimately, what the exam questions says. Jon explained that the school’s approach is driven by its three values: grit, pride and team spirit. Team spirit, because employers are looking for good team players – sometimes this is even valued over actual skills. Pride, because kids from the inner city often don’t feel this, but they have a lot to feel good about. And grit, because sometimes you’ve got to work hard to get through things in life.